This is a sort of tent that hangs out underwater during long dives. You enter from the bottom and are able to take off your gear, eat, rest, or just talk as you ascend and descend. Taking a break on long dives may sound silly but it really can be a life saver. Since you must ascend slowly in order to avoid life threatening illness, something like this could make that process safer as it helps conserve precious oxygen. The whole thing is affordable and easy to transport. 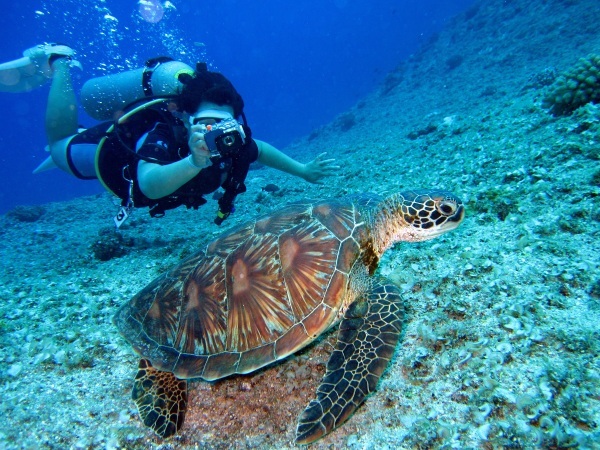 It is really geared for experienced divers who will be going deep and despite the connotations, not meant to take casual outing under the waves. Check out the link to see it in action.